My series continues. Ten more days until I turn 30! Today's lesson from my 20s : Flip Flops Aren't Shoes & Other Fashion Facts. With some friends on a trip to the Middle East. These clothes do not fit us. I started off my twenties wearing flip flops, jeans & t-shirts. Throw in the occasional sweatpants tucked into a pair of Uggs. Yikes.My friend Kendall & I once made a list of clothes we would never wear again. The top of the list? 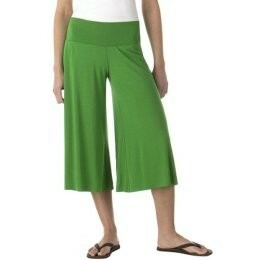 Goucho pants. Whose idea were those? They flattered no one. Since that first photo was taken I have learned a few things about clothes. The main difference being that clothes & pajamas are different. Unless you have the flu and need to run to Walgreens for NyQuil then you have no reason to leave the house in your pajamas. It doesn't take much time to get into a pair of jeans and a cute shirt. In fact, it takes the same amount of time that it takes you to put on your yoga pants & hoodie. Speaking of jeans. It is so worth it to invest in a pair that fit you well. I am a skinny jean kind of girl, but maybe you love your bootcuts or your boyfriend fit. I don't care what style you like, just please please please take the time to find a pair that look great on you. If the pockets are in the wrong place your behind looks fat. If they are too short then you will look wider. If they sit too low then you create a muffin-top. Just because they button doesn't mean you should wear them. Go to a store and have someone help you. Not just anyone. Someone who has good style. If you don't like the way the sales person is dressed find another one who looks how you want to look. I started slowly filling my closet with pieces that were flattering and easy to mix & match. I wake up and put on a top & bottom without much thought. I also used to think that flip flops went with every outfit. They don't. Unlike a high ponytail they don't go from day-to-night. They aren't shoes. I encourage you. Try to wear actual shoes from time to time. The kind with a heal and a toe. It feels good plus you look way more put together. Guys take note. 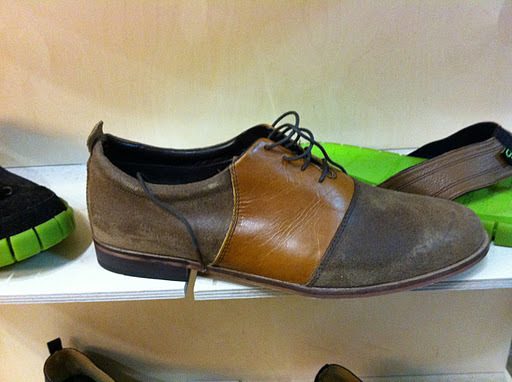 These are great shoes. Far too many people dress like they are a 16 year old on a camping trip. What happened to looking like adults? Comfortable doesn't mean casual. Look nice. It's not that hard. I have two kids and about 3 minutes to get myself dressed on an average morning. Grab the blouse instead of the old college sweatshirt. Unless you are actually going camping. Okay. That was a bit of a ramble. Buy clothes that fit well. Set your Rainbow sandals aside & help me bring back the laces.